With Halloween just around the corner (or in the rearview mirror, depending on when you read this) there are spiders to be found everywhere. But while the plastic creepy-crawlies that serve as Halloween decorations might not be very scary, the real ones lurking around your home are another story. Although spiders play a vital role in ecosystems around the planet, they have no business inside your home. To highlight the importance of getting rid of spiders with the help of your Crystal Lake pest control provider , consider these incredible and equally terrifying facts about spiders. When we say female spiders lay thousands of eggs, we don’t just mean they lay thousands of eggs in their lifetime but rather thousands of eggs at one time . In fact, females can lay up to 3,000 eggs at one time. Although a small number of these eggs will develop into mature spiders, this fact highlights how quickly one or two spiders can explore into hundreds or even thousands if not dealt with. There are approximately 300 different species of jumping spiders in the United States and Canada, and some of them are really good at what they do. Some species can jump up to 50x their own body length, which is more than enough to mount a surprise attack while you’re leaning in for a closer look. Although jumping spiders are not poisonous , contact a pest control company to make sure they get into your home and jump into your food or into your bed. 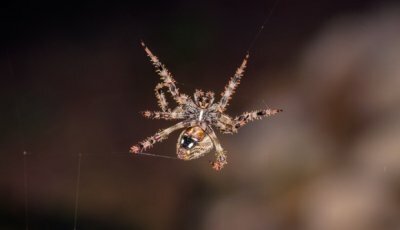 We should clarify—it’s not true that the pesticides themselves are ineffective, but rather the fact that most spiders are smart enough to avoid areas that have been treated with chemicals designed to kill them. That’s why the best way to deal with spiders in and around your home is to work with an exterminator or pest control professional that specializes in the most effective spider control methods available.